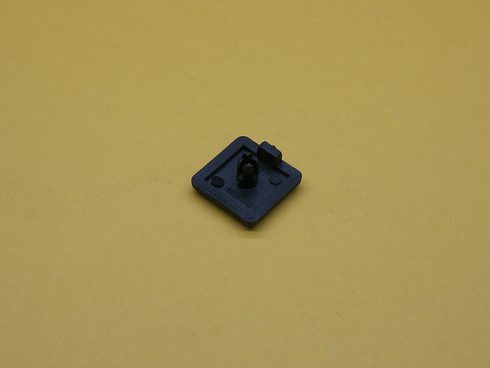 20 Series, 20mm x 20mm BLANK Black Plastic Endcap with built-in fastener, TNUTZ Part #EC-020-A. These plastic endcaps are a great way to finish your T-Slotted Aluminum Extrusion projects. These Endcaps come with the plastic push-in built in to the cap and will fit in 5mm wide slot extrusions. – These parts will also fit in most 6mm slot extrusions with a spline-shaped hole.